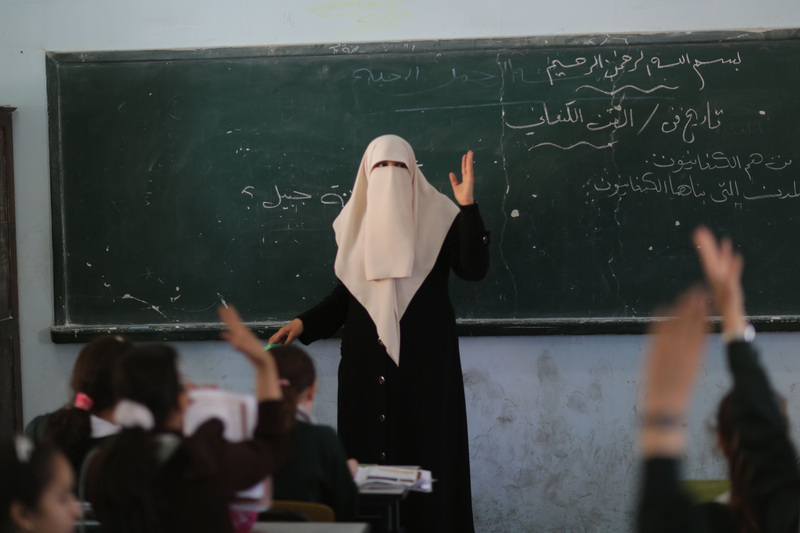 The new school year kicked off in the Palestinian Authority last month, and it was business as usual. The authors of this year’s textbooks have made sure to keep up their long tradition of Israel hatred – without, of course, mentioning the name “Israel” in the textbooks. After examining dozens of Palestinian textbooks for 11th- and 12th-grade students in the PA education system, Gross says there has been a “depressing” change for the worse in the new books. Although some pundits in Israel say the day is coming when PA President Mahmoud Abbas will leave his post and his life’s work – which includes, among other things, perfecting the rhetoric of incitement – he will have bequeathed a written, dark legacy, embedded in the minds of Palestinian adults. Gross discovered that in each instance in an earlier textbook of even the slightest hint of deviation from the lexicon of hatred toward Israel and Jews, the book’s author later took pains to correct the “mistake” by reverting back to the desired path of hatred. It is important to know that these are not “pirate” textbooks being disseminated in the Palestinian territories, but textbooks published by the PA Education Ministry in Ramallah. These textbooks are also used in Palestinian schools in east Jerusalem.